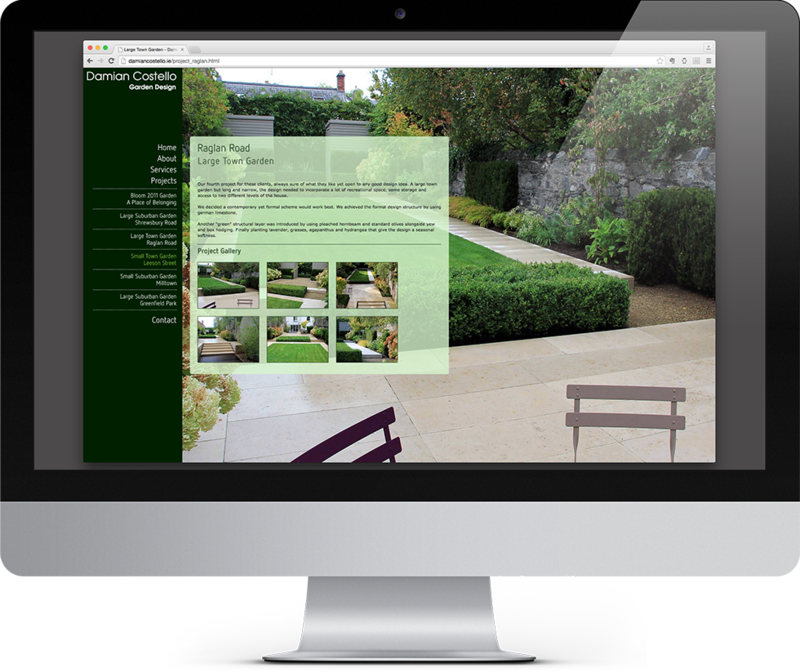 Damian Costello is an award-winning landscape designer. 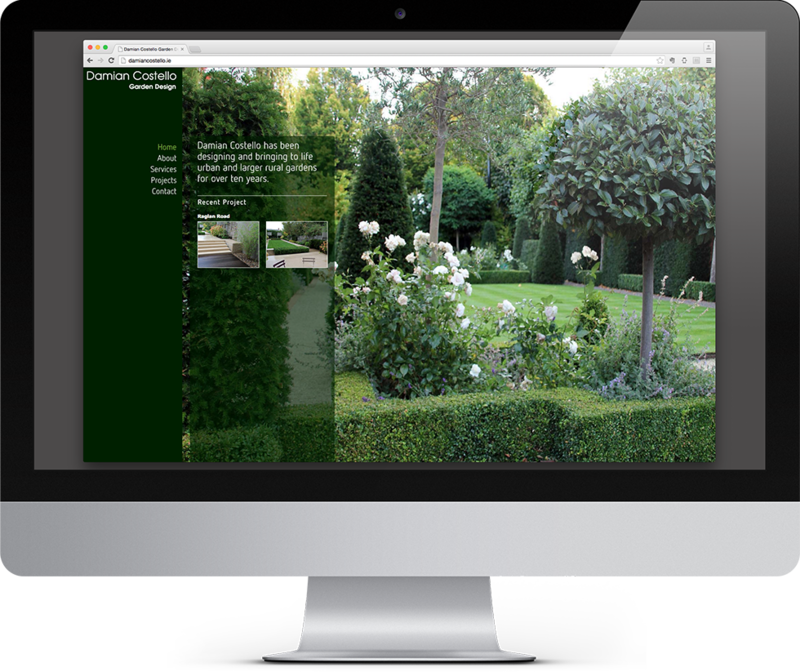 He required a website with minimal text, to show off his work, including different area sizes and styles of gardens. We selected a number of Damian's recent projects and created a small portfolio site emphasising the imagery, part of which forms the background of each section. Front and centre photos show more detailed aspects of each of the landscape projects.